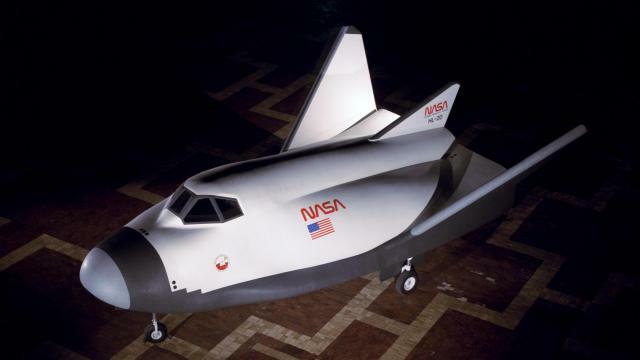 DURING THE SPRING SEMESTER OF 1990, students and faculty of NC State and NC A&T University designed a full-scale engineering research model of the HL-20. Led by Robert Vess, a lecturer in MAE, and Thurman Exum at NC A&T, a group of seven NCSU and six NC A&T student along with four additional faculty specialists fabricated the model between March and September 1990. The HL-20 program was canceled in 1993 but resurrected 10 years ago by the Sierra Nevada Corporation. This past weekend, Sierra Nevada quietly flight tested their Dream Chaser high above the California desert, successfully landing it at the Edwards Air Force Base. The final 29-foot long model was painted and displayed at NC State before transportation to Langley Research Center in Hampton, Virginia.